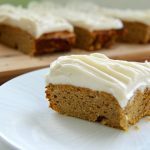 Low carb pumpkin bars baked with coconut flour and topped with a cream cheese frosting are a delicious cake. A low carb and gluten free cake that will have you reaching for another. 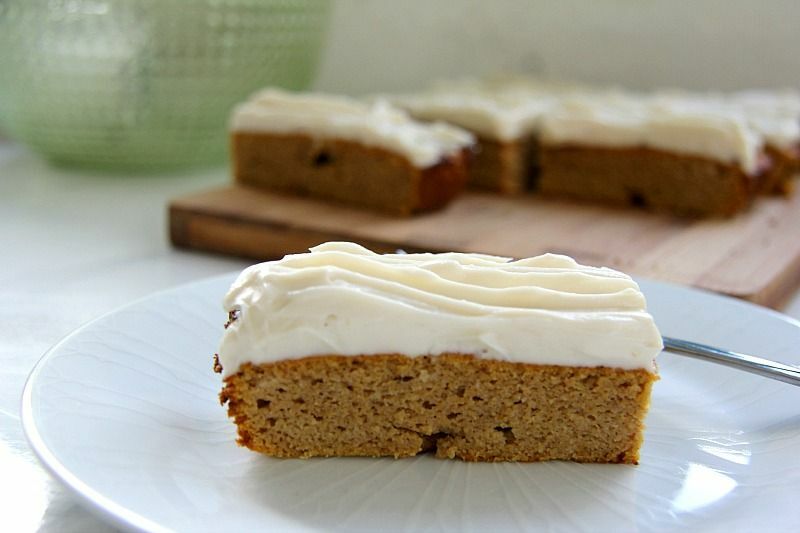 This pumpkin bar recipe yields such a moist sponge you would never guess that you are eating a healthier alternative. The pumpkin spices give the sponge a delicious warmth and the pumpkin an additional sweetness. 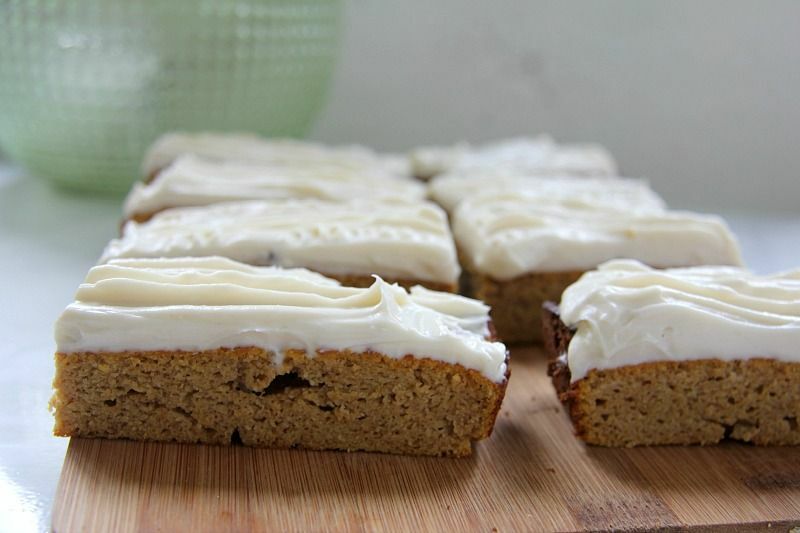 The cream cheese topping is optional but highly recommended as it goes so well with the pumpkin bar sponge. If you enjoy carrot cake with a creamy cheese topping, then this is a healthier must for you. Cream cheese and pumpkin are a great flavour couple, it would be a shame to separate them!